This week at MusicIsMyDayJob, we are looking at ways to determine who your audience is and how best to reach that audience, even when starting from scratch. Don’t miss our other articles in this series, and check back later for a recap of suggestions and recommendations from our readers. Much has been written about Twitter, and many things will continue to be written about the seemingly ubiquitous micro-blogging service (especially if these rumors are even slightly true). As of 16:00hrs EST on April 2, 2009, Google finds 43,058,597 blog articles on the topic–a number nearly impossible to comprehend, but it goes a long way to demonstrate both the popularity of the service and the immense number of people who are trying to determine how to use it to their advantage. Musicians are no exception–this spreadsheet lists hundreds of artists, bands and other music-related Twitter users (and it continues to grow exponentially), all of them trying to determine how to use the service to reach fans and spread the word about their art. So is Twitter just another social media fad, or is it an important tool to reach new fans and interact with your audience? Twitter is the hip social media thing to do right now, but after you peel back the hype and “trend-spotting” news reports (and actually start to use the service! ), you will discover that Twitter allows for interaction unlike any other type of social media, and there are specific benefits to musicians that no other service can offer, especially when it comes to connecting with fans. The secret to Twitter’s utility lies in its (a)brevity and (b)immediacy. On Twitter, you only have 140 characters to express yourself, so every letter matters (this sentence happens to be exactly 147 characters long, to give you some perspective). No fluff, no hype–only the essential, and because of that, it allows you to connect with fans and potential fans in a very direct manner. It also forces your creativity and personality to shine through–if your updates consist of thoughts like, “At the grocery store,” “Reading email,” or, “Buy my record,” very few people (if any) will want to hear what you have to say, but if you inject your personality into the few characters that are available to you, people will be interested in hearing more. 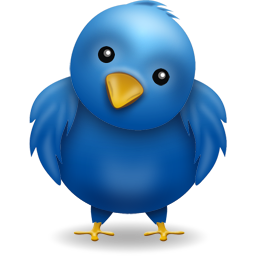 Immediacy is the other aspect that makes Twitter so essential for independent musicians. In fact, Twitter is most effective when used in the immediate present, rather than for documenting the past as you would in a blog or on your MySpace page. Because of this immediacy, Twitter presents intriguing snapshots into precise moments, allowing people a perspective no other media can provide. As such, you can pull your fans into your world, sending out immediate updates as you record an album, or taking them along on tour as you look for something to do between cities, creating an experience and loyalty that an MP3 can not. You can also receive real-time feedback and comments, whether you want to know which mix of a track you should use, where to perform in a given city, or even whether or not you should change your band name! Twitter is a ridiculously effective way to find your audience, but it requires that you be a real person in order to do so successfully. Don’t simply sign up for an account, post a few updates, and expect the followers to come beating down your door–you need to reach out to others and actively participate in the conversation. Remember, if people care about you, then they will want to hear your music, and the same people will eventually become your music’s champions. On the contrary, if you constantly send nothing more than the Twitter equivalent of spam, saying, “Download our new E.P.” (as several artists actually do each day), people will quickly tune out, or worse, not even bother following you. When following people, follow them because they interest you, not because you are trying to trick them into liking your music. Be authentic in your updates–don’t reveal every detail of your day, but also don’t hesitate to say when things are not working out; it sounds corny, but just be you, and people will feel a connection. Reply to people, and let them see that the person updating your profile is actually you (and not some record label intern). Follow other musicians and artists, and you will see what attracts people and what does not. @questlove, @imogenheap and @trent_reznor certainly do not need any help attracting fans, but they are excellent examples of what to do if you want people to follow you, fans or otherwise–they are real people in their updates, they interact with their followers, and they provide the immediate glimpses into their lives that are the life-blood of a successful Twitter user. They also take full advantage of Twitter to transform their followers into fans and keep their name and music in conversations, even when they are not releasing anything new or touring. Twitter is an amazing way to turn casual followers into fans, as well as fans into super-fans, especially as they begin to feel a real connection with you and, thus, your music. The secret here lies in the consistency and quality of your updates–be active and regularly update your profile, but continue to focus on updates that bring fans into your world and gives to them an experience and interaction that they could not get otherwise. Hold contests and competitions for your followers–everyone who sends a specific link to their followers is entered into a drawing, best suggestion for an album title gets a name in the album credits, etc. Even better, as there are various ways to use Twitter from mobile phones, build your set lists spontaneously through encouraging fans at your live gigs to request songs via Twitter. You can even use #hashtags to track the requests. Yes, this requires some extra practice, but imagine the excitement your fans would feel in having this opportunity! Better Than Free – Wired-founder Keven Kelly on competing with free and giving your fans an experience that they can not get from a download or plastic disc. The Fan Economy – Social Media Strategist Bud Caddell’s excellent slide show on working within the new fan-centric economy and using it to your advantage. Spend some time with this one. Comments? Thoughts? Suggestions on the most effective ways to find your audience using Twitter? Share in the comments below or, of course, via Twitter. Don’t forget to check back later for the final post in our series on Finding Your Audience. Too much trouble to remember? Subscribe to MusicIsMyDayJob via RSS or email and let us remember for you.